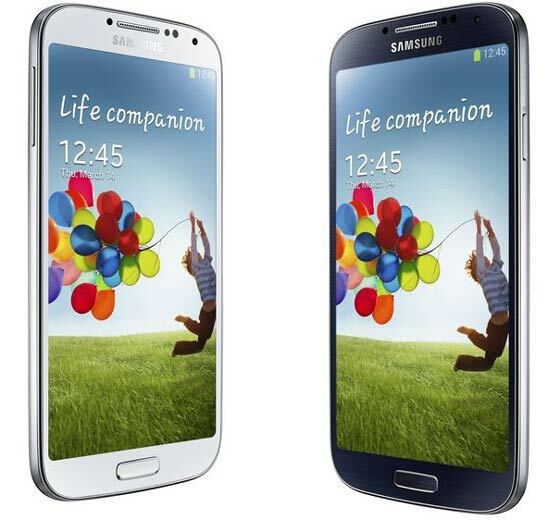 Samsung unveiled the new flagship Galaxy S4 smartphone last night in New York. As the successor to the extremely successful Samsung Galaxy S3 it has a lot to live up to. The South Korean electronics giant didn’t mess with the formula too much in the looks department, as you can see below. However it reinforced its flagship in almost every department, including those most important for smartphone users; a better screen, faster processing and enhanced camera functions. There’s a very long list of software features included in the update too, to round off the whole package. Let’s look at the hardware first, because that’s the kind of people we are. How better to do so than with a list of specs I’ve compiled for the new Samsung Galaxy S4, below. 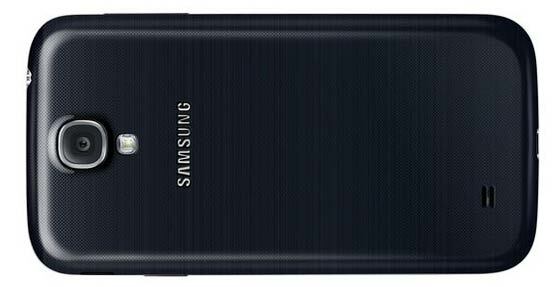 Samsung’s 1.6GHz Octa-Core processor choice powers the entire world’s Samsung Galaxy S4 handsets except for those in the USA, which are going to be packing a quad-core Qualcomm Snapdragon S4 Pro 1.9GHz chip. Samsung has provided a balanced set of upgrades and innovations in the software and features department to compliment the new Galaxy S4 core hardware. It’s difficult to know which of these features will prove gimmicky rather than useful without a week or two of hands-on time with the unit. Also it depends on the user; horses for courses. I’ll list the Samsung Galaxy S4 feature enhancements in the order Samsung does on its Galaxy S4 promotional webpage. Fun features are quite camera-centric: cameras are a very important aspect of a good smartphone and Samsung offers a large set of new camera software. Most notably Dual Camera allows users to take pictures/video with both front and rear cameras at the same time for “I was there” moments. Drama Shot is used to fire a fast burst of photos to make a collage from the action you are recording. Group Play allows you and your Galaxy S4 toting buddies to play the same music track together and “create a powerful sound system that enhances the sound quality and keeps the party going”. Next moving on to “relationship” features, Samsung is including a handy translator feature in the Galaxy S4 which can do speech to text or text to speech translation in a number of popular world languages. Looking at Samsung’s “life task” features we have Smart Pause and Smart Scroll which control the smartphone UI to some degree via eye motion tracking. The Smart Pause feature pauses videos when you look away. S Voice Drive is a better car mode for the new smartphone with more features helping you keep your eyes on the road while navigating. Air View and Air Gesture are, as you may expect, motion controls for the new Galaxy S4; especially useful when you are wearing gloves in the cold weather. Finally in the software features we have what Samsung call “life care” features. You could also describe these as a personal training app (S Health) and accessibility features for people with vision and/or hearing difficulties. What do readers think are the best features of Samsung’s new flagship? 5“ pushes the size just past the limit IMO. I still find the 4.7” of my one X a little too big. If i was upgrading this year i think i would actually stick to HTC, as much as it pains me to admit given their poor attitude to software updates. The Galaxy S4 link ( in the article and directly from the Samsung home page at http://www.samsung.com/uk/#latest-home ) appears to be down at this time. Same size as S3, not bad…..I will upgrade if any good deals come around, speacial offers (free tab) or trade in on my S3 is high otherwise no rush to get it.